Viviscal© Professional dietary supplements are scientifically formulated with the proprietary marine complex AminoMar C™, which helps nourish thinning hair and promote existing hair growth from within. Viviscal© Professional helps nourish hair that is prone to breakage and shedding due to heat styling, coloring, extensions and over styling. 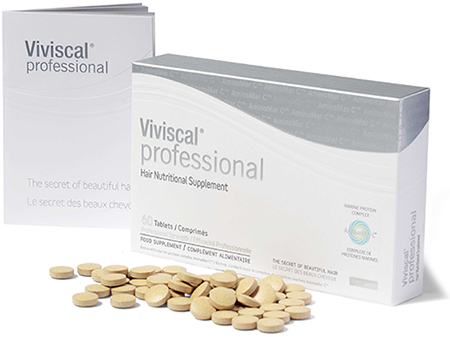 Viviscal© Professional has been developed with ingredients of natural origins – AminoMar C™, 2. Apple Extract Powder (Procyanidin B-2) , Biotin, Vitamin C as well as L-Cystine and L-Methionine – to nourish hair and promote existing hair growth. 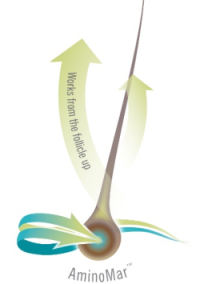 Viviscal© Professional supplements nourish hair from within four stages.